Uncertainty refers to epistemic situations involving imperfect or unknown information. It applies to predictions of future events, to physical measurements that are already made, or to the unknown. Uncertainty arises in partially observable and/or stochastic environments, as well as due to ignorance, indolence, or both. It arises in any number of fields, including insurance, philosophy, physics, statistics, economics, finance, psychology, sociology, engineering, metrology, meteorology, ecology and information science. The lack of certainty, a state of limited knowledge where it is impossible to exactly describe the existing state, a future outcome, or more than one possible outcome. In statistics and economics, second-order uncertainty is represented in probability density functions over (first-order) probabilities.. Opinions in subjective logic  carry this type of uncertainty. —  Frank Knight (1885–1972), Risk, Uncertainty, and Profit (1921), University of Chicago. Vagueness is a form of uncertainty where the analyst is unable to clearly differentiate between two different classes, such as 'person of average height.' and 'tall person'. This form of vagueness can be modelled by some variation on Zadeh's fuzzy logic or subjective logic. Ambiguity is a form of uncertainty where even the possible outcomes have unclear meanings and interpretations. The statement "He returns from the bank" is ambiguous because its interpretation depends on whether the word 'bank' is meant as "the side of a river" or "a financial institution". Ambiguity typically arises in situations where multiple analysts or observers have different interpretations of the same statements. Uncertainty may be a consequence of a lack of knowledge of obtainable facts. That is, there may be uncertainty about whether a new rocket design will work, but this uncertainty can be removed with further analysis and experimentation. At the subatomic level, uncertainty may be a fundamental and unavoidable property of the universe. In quantum mechanics, the Heisenberg uncertainty principle puts limits on how much an observer can ever know about the position and velocity of a particle. This may not just be ignorance of potentially obtainable facts but that there is no fact to be found. There is some controversy in physics as to whether such uncertainty is an irreducible property of nature or if there are "hidden variables" that would describe the state of a particle even more exactly than Heisenberg's uncertainty principle allows. In the last notation, parentheses are the concise notation for the ± notation. For example, applying 10 ​1⁄2 meters in a scientific or engineering application, it could be written 7001105000000000000♠10.5 m or 7001105000000000000♠10.50 m, by convention meaning accurate to within one tenth of a meter, or one hundredth. The precision is symmetric around the last digit. In this case it's half a tenth up and half a tenth down, so 10.5 means between 10.45 and 10.55. Thus it is understood that 10.5 means 7001105000000000000♠10.5±0.05, and 10.50 means 7001105000000000000♠10.50±0.005, also written 7001105000000000000♠10.50(5) and 7001105000000000000♠10.500(5) respectively. But if the accuracy is within two tenths, the uncertainty is ± one tenth, and it is required to be explicit: 7001105000000000000♠10.5±0.1 and 7001105000000000000♠10.50±0.01 or 7001105000000000000♠10.5(1) and 7001105000000000000♠10.50(1). The numbers in parentheses apply to the numeral left of themselves, and are not part of that number, but part of a notation of uncertainty. They apply to the least significant digits. For instance, 7000100794000000000♠1.00794(7) stands for 7000100794000000000♠1.00794±0.00007, while 7000100794000000000♠1.00794(72) stands for 7000100794000000000♠1.00794±0.00072. This concise notation is used for example by IUPAC in stating the atomic mass of elements. Uncertainty of a measurement can be determined by repeating a measurement to arrive at an estimate of the standard deviation of the values. Then, any single value has an uncertainty equal to the standard deviation. However, if the values are averaged, then the mean measurement value has a much smaller uncertainty, equal to the standard error of the mean, which is the standard deviation divided by the square root of the number of measurements. This procedure neglects systematic errors, however. Uncertainty in science, and science in general, may be interpreted differently in the public sphere than in the scientific community. This is due in part to the diversity of the public audience, and the tendency for scientists to misunderstand lay audiences and therefore not communicate ideas clearly and effectively. One example is explained by the information deficit model. Also, in the public realm, there are often many scientific voices giving input on a single topic. For example, depending on how an issue is reported in the public sphere, discrepancies between outcomes of multiple scientific studies due to methodological differences could be interpreted by the public as a lack of consensus in a situation where a consensus does in fact exist. This interpretation may have even been intentionally promoted, as scientific uncertainty may be managed to reach certain goals. For example, global warming contrarian activists took the advice of Frank Luntz to frame global warming as an issue of scientific uncertainty, which was a precursor to the conflict frame used by journalists when reporting the issue. Journalists may inflate uncertainty (making the science seem more uncertain than it really is) or downplay uncertainty (making the science seem more certain than it really is). One way that journalists inflate uncertainty is by describing new research that contradicts past research without providing context for the change. Journalists may give scientists with minority views equal weight as scientists with majority views, without adequately describing or explaining the state of scientific consensus on the issue. In the same vein, journalists may give non-scientists the same amount of attention and importance as scientists. Sometimes, stockholders, owners, or advertising will pressure a media organization to promote the business aspects of a scientific issue, and therefore any uncertainty claims which may compromise the business interests are downplayed or eliminated. In optimization, uncertainty permits one to describe situations where the user does not have full control on the final outcome of the optimization procedure, see scenario optimization and stochastic optimization. Uncertainty is an important factor in economics. According to economist Frank Knight, it is different from risk, where there is a specific probability assigned to each outcome (as when flipping a fair coin). Knightian uncertainty involves a situation that has unknown probabilities. Investing in financial markets such as the stock market involves Knightian uncertainty when the probabiliy of a rare but catastrophic event is unknown. In entrepreneurship: New products, services, firms and even markets may be created in the absence of probability estimates. According to entrepreneurship research, expert entrepreneurs use[when?] experience based heuristics called effectuation (as opposed to causality) to overcome uncertainty. ^ Peter Norvig; Sebastian Thrun. "Introduction to Artificial Intelligence". Udacity. ^ Gärdenfors, Peter; Sahlin, Nils-Eric (1982). "Unreliable probabilities, risk taking, and decision making". Synthese. 53 (3): 361–386. doi:10.1007/BF00486156. ^ David Sundgren and Alexander Karlsson. Uncertainty levels of second-order probability. Polibits, 48:5–11, 2013. ^ Audun Jøsang. Subjective Logic: A Formalism for Reasoning Under Uncertainty. Springer, Heidelberg, 2016. ^ Douglas Hubbard (2010). How to Measure Anything: Finding the Value of Intangibles in Business, 2nd ed. John Wiley & Sons. Description Archived 2011-11-22 at the Wayback Machine, contents Archived 2013-04-27 at the Wayback Machine, and preview. ^ Jean-Jacques Laffont (1989). The Economics of Uncertainty and Information, MIT Press. Description Archived 2012-01-25 at the Wayback Machine and chapter-preview links. ^ Jean-Jacques Laffont (1980). Essays in the Economics of Uncertainty, Harvard University Press. Chapter-preview links. ^ Knight, F. H. (1921). Risk, Uncertainty, and Profit. Boston: Hart, Schaffner & Marx. ^ Tannert C, Elvers HD, Jandrig B (2007). "The ethics of uncertainty. In the light of possible dangers, research becomes a moral duty". EMBO Rep. 8 (10): 892–6. doi:10.1038/sj.embor.7401072. PMC 2002561. PMID 17906667. ^ "Standard Uncertainty and Relative Standard Uncertainty". CODATA reference. NIST. Archived from the original on 16 October 2011. Retrieved 26 September 2011. ^ a b c d e Zehr, S. C. (1999). Scientists' representation of uncertainty. In Friedman, S.M., Dunwoody, S., & Rogers, C. L. (Eds. ), Communicating uncertainty: Media coverage of new and controversial science (3–21). Mahwah, NJ: Lawrence Erlbaum Associates, Inc.
^ Nisbet, M.; Scheufele, D. A. (2009). "What's next for science communication? Promising directions and lingering distractions". American Journal of Botany. 96 (10): 1767–1778. doi:10.3732/ajb.0900041. PMID 21622297. ^ Shackley, S.; Wynne, B. (1996). "Representing uncertainty in global climate change science and policy: Boundary-ordering devices and authority". Science, Technology, & Human Values. 21 (3): 275–302. doi:10.1177/016224399602100302. ^ Somerville, R. C.; Hassol, S. J. (2011). "Communicating the science of climate change". Physics Today. 64 (10): 48–53. Bibcode:2011PhT....64j..48S. doi:10.1063/pt.3.1296. ^ a b c d e f g h i Stocking, H. (1999). "How journalists deal with scientific uncertainty". In Friedman, S. M.; Dunwoody, S.; Rogers, C. L. (eds.). Communicating Uncertainty: Media Coverage of New and Controversial Science. Mahwah, NJ: Lawrence Erlbaum. pp. 23–41. ISBN 978-0-8058-2727-9. ^ a b Nisbet, M.; Scheufele, D. A. (2007). "The Future of Public Engagement". The Scientist. 21 (10): 38–44. ^ Gregory, Kent J.; Bibbo, Giovanni; Pattison, John E. (2005). "A Standard Approach to Measurement Uncertainties for Scientists and Engineers in Medicine". Australasian Physical and Engineering Sciences in Medicine. 28 (2): 131–139. doi:10.1007/BF03178705. Smithson, Michael (1989). Ignorance and Uncertainty. New York: Springer-Verlag. ISBN 978-0-387-96945-9. 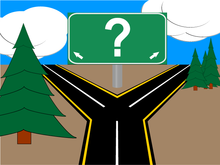 Wikimedia Commons has media related to Uncertainty.